Pastor Jimmy and his wife Mercy are the parents of this Hope Home. They have a house full of beautiful children. You should hear them sing! They are happy children with wonderful parents. Times are not always easy for them. Jobs are so scarce and funds are always very low. We are so grateful to Jason Nightingale who has graciously been helping them with food each month. We appreciate any help we can get to keep this home open. Every landlord in Liberia asks for one year’s rent in advance. Many months they are behind in their rent by months, and this landlord has allowed them to stay. He has been very kind. I am praying one day we can pay a whole year of rent in advance. The cost is so low for this large a house. They pay only 100 per month for rent. This year we have 17 children to put to school. Each child needs 100 dollars for registration, black shoes, a uniform, a book bag and copy books. We are looking for people who would care to help. 15 dollars can buy a pair of black shoes. 10 dollars can buy a uniform. 7 dollars will buy a book bag. 5 dollars can buy copy books and pens. Can you help us get these children to school? Choose one. We are also looking for people who would donate towards a MICRO LOAN for this household. If Mercy, the mother of the house could get a small loan she could start a business with the older girls. They could sell items of clothing, or dry goods to generate some income. Jimmy has carpentry skills and is always doing odd jobs here and there to help with their needs. Email Karen Barkman karen@provisionofhope.com if you would like to make a donation for a micro loan. Phone 250- 454-9456 if you want to make a credit card donation. 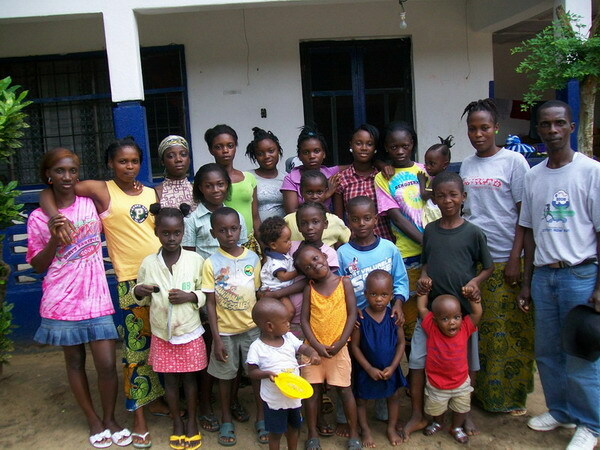 See http://www.provisionofhope.com/2009/05/micro-loans-help-in-rebuilding-liberia/ for a report on the difference micro loans make for people.